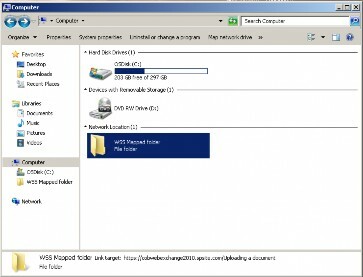 Visit the site that you wish to map a network drive for. You will now need to shorten the URL to so it just shows the string which is needed, like the example shown below. 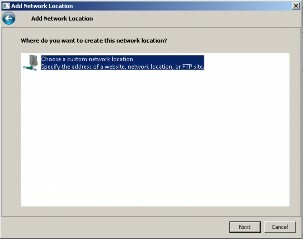 Go to My Computer, right click and select Add a network location. Click Next and select Choose a custom network location. Paste in the URL that you have shortened to the "Internet or network address" box and click next; it will then prompt you for your Username and Password. Pick an appropriate name for the mapped location and click next and finish and you will now be able to see the mapped drive.